All touch screens that we are providing are completely configured with ETS software. The Corlo Touch for the KNX system offers a variety of options for its use. 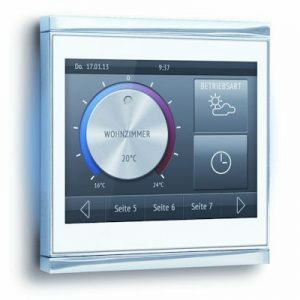 The high resolution display is ideal for displaying text, images or graphics. 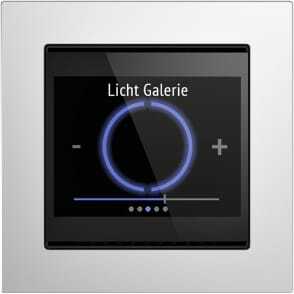 In addition to current readings and messages, the KNX bus system can also display photographs, for example. 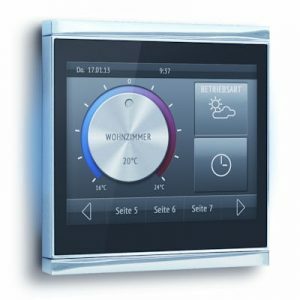 Concurrently, you can set up the Corlo Touch KNX as a control center for automatic shading, ventilation and air conditioning regulation.